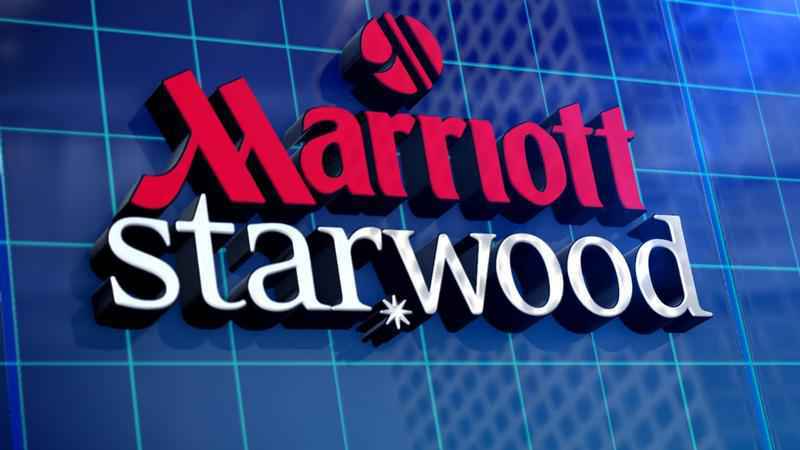 At 4.30pm EST (9.30pm in the UK) on Monday, Marriott will be hosting an event to reveal the replacement loyalty scheme for Marriott Rewards, The Ritz-Carlton Rewards and Starwood Preferred Guest. It seems that the new scheme will be introduced from August, presumably with some sort of transition period. Everything needs to be in place for 1st January so that members know what they need to do to earn or retain their status. There are plenty of rumours swirling around, almost all of which are unsubstantiated so I won’t bother you with them! More on Tuesday or Wednesday, depending on how much clarity is available before I go to bed tonight! British Airways now offering €11 one-way fares! I don’t know if this is a PR stunt or not – although they have picked an odd route if it is – but British Airways is during the Summer, mainly in August, offering €11 one-way fares from Luxembourg to Heathrow. You can’t get there for €11 – the cheapest one way outbound fare is £54 and the €11 return disappears if you don’t book your trip as 2 x one-ways – but it is an interesting example of aggressive BA pricing. 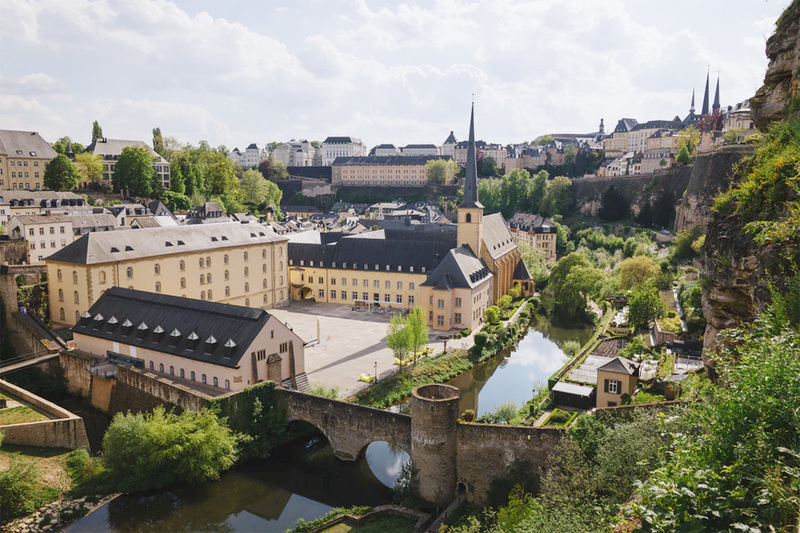 Luxembourg, by the way, is very pleasant for a one-night stay. We have written previously about the serious issues with the Rolls-Royce engines fitted to the Boeing 787. This has caused severe issues for many airlines including Virgin Atlantic and British Airways. Virgin has been worse hit and has ended up leasing some ex-airberlin A330 aircraft which will operate out of Manchester. Bloomberg has more information here. Did I miss the winner of the PE seat to NYC competition? No. It got a bit messy as we ended up disqualifying the first choice due to multiple entries, and then the 2nd winner was slow in confirming. We now have contact with them but the airline is being slow in speaking to them! I think we will publish the name tomorrow even if the airline hasn’t yet been in touch as the winner knows they won. Presumably multiple entries from a single device in different names/emails is ok? When entering HFPB competitions I udually submit two entries, one for me and the other on behalf of my partner. That is totally fine. This person had entered more than once using the same email and the same name. No problem using the same email address to enter your partner, and indeed most people did. Name and shame the person with the multiple entries Rob! Not been announced yet apart from they have been contacted and are in the 65+ category IIRC. OT: quick question – it looks like BA have over-sold my flight from DBX to LHR tomorrow (can’t check in online, no seats to buy, etc). There is also no availability, in terms of purchasable seats, on either of the later flights that day or, in economy, until next week, bizarrely. I’m travelling with my partner. If we get bumped, does anyone know if we can insist on being on the same flight together? Best case scenario would probably be an upgrade to available Business flights the next day but would we be obligated to take an available economy seat with connections if BA found one on a partner airline like Saudi or Gulf? Thanks! It may clear. BA tends to oversell economy and push people up. Business passengers on flexible tickets may drop out at short notice. If not Qantas is an option (oneworld) – less likely they will give you Emirates. There is no obligation to put you on another airline. Ah, that’s interesting. I was under the, obviously mistaken, belief that they were obliged to get you there and if that necessitated using a differnet airline then so be it. Have you done an article on what your rights are if your flight is overbooked and you get bumped? They’re obliged to get you there, it doesn’t specifically say you can insist on alternative carriers if they aren’t quick enough. In reality, if BA said something ridiculous like “we’ll take you in a weeks time”, I’d imagine any court would side with you. For a couple of days it’s more of a grey area. IIRC it’s “under comparable transport conditions” and “at the earliest opportunity”. BA – and to be fair others do this too – would rather make you sit in a £75 hotel at the airport for 5 days rather than pay far more to buy you a seat on another airline. Lufthansa, on the other hand, when my Heathrow-Frankfurt-Dubai (last bit in First) got messed up years ago due to the short haul being cancelled, were happy to book us on a direct Emirates flight from Heathrow in First Class. They are obliged to get you to your destination as soon as possible (as well as care for your welfare if you’re delayed). They’ll want that to be with them to avoid paying another airline but you could insist if another airline can get you there quicker than BA themselves could. Either way you’ll still be eligible for EU compensation if you arrive 3 hours later than time on your original flight, arriving by whatever means. Its quite amazing how stacked the rules are in the airlines favour. If you book a ticket to get you to somehwere on a certain day then you should be able to actually get there on that day (weather permitting). EU261 is all fine and dandy but that doesn’t make up for the fact hat you’ve missed an important meeting/wedding/funeral let alone missed most of your week’s holiday. By ‘insist’ I mean if they say they’re putting you on a flight the next day and accommodation overnight, you can insist they put you on a rival airline that will get you there sooner (i.e. same day as you were supposed to be). Trouble is they will ‘sell’ the offer as free hotel and meals plus a voucher/prepaid card debit of some sort. Hold out if they choose you for demotion. Off topic and not EU I know, but I note that United Airlines gate agents are now authorised to give up to $10,000 compensation to a bumped passenger due to overbooking. It’s already happened once since the doctor incident. I may not have been entirely clear, but from BA’s own conditions of carriage. BA are infuriating on this. They cancelled our return flights in 2017, forcing us to curtail our holiday by 2 days. They said if we didn’t move to the earlier flight they would just cancel our booking! Fighting it might have meant missing out on our holiday altogether as we would have had to book prohibitively expensive alternative flights and risk not getting the money back from BA. OT – Anyone got any Charles Tyrwhitt discount codes? These 787s can’t catch a break. I seem to recall engine trouble with the General Electric variants last year (or was it the year before? ), and now RR? Any reason to do any urgent Marriott rewards bookings or quick transfers from SPG (or membership rewards to spg)? Presumably the announcement today won’t immediately affect any of the current functionality or values…at the least a few days’ notice? I wouldn’t be surprised to discover they’re just changing the name ???? No one knows is the bottom line answer David and Marriott haven’t told anyone. Rumour is that they are closing the airline points transfers from SPG, but take that with a pinch of salt. OT… This hasn’t been covered for a while but managed to book the Sofitel Heathrow T5 for £96 yesterday using the last-minute.com Secret Hotels trick here. Good to see that back, will drop it in. Great offer – I might look to book this for a trip in October, nearer the time. Any idea how much it costs to add in parking? Yes….. Not great unfortunately for the dates I booked. Stay and parking packages just over £300 for 8 days/1 night. If you booking parking on its own even more! We stayed a couple of years ago on a considerably more attractive stay and park package, though that was over new year. Combined the stay with 8 days booked through good to go parking. That was about £150 all in, possibly £10 less if all the online cash back pays out. I’m happy with that – cheaper than the packages Thistle are offering at the moment once the £5 pod access fees are included. The direct debit appears as ‘Debit Finance’. Worth a look in case you’ve got it. It took about 50 minutes to get through to them so I assume a few people are in the same boat! I had a letter last week telling me they had set up a new direct debit. I immediately cancelled said direct debit and called them saying they had no right to set up a new direct debit 8 mths after I cancelled the last one. He said ‘but you are still receiving the magazines’. My reply was that was an error on STTM’s part and not mine. He confirmed it would now be cancelled. Here’s hoping anyway. I do wish they would stop sending me the TLS. I feel so guilty when I don’t read it. Hi all, O/T, but I’ve tried and failed to find the information elsewhere! I’m looking at redeeming some Avios to fly Cathay Pacific to the Philippines, using the BA website – I’d be in first to Hong Kong, but then business afterwards, as it’s a 3 class plane. Will I be able to visit the first class lounges in Hong Kong airport while I wait for my onward flight in business? This affects how long I want to have between flights! Also, if I need to make a change to my booking, can I still do that within 24 hours with no fee? Would it be the usual £35 (per leg?) after 24 hours? If you arrive on a OneWorld F flight and have another OneWorld flight same day then you can use Cathay F lounges before your connection. If you overnight in HK then fly on to Philippines next day then you’ll be CX Business lounges. If you are BA Gold or OneWorld emerald you can use the F lounges anyway. Don’t know about cancellation within 24 hours for redemptions but you will be charged the lower of £35 and actual taxes. Taxes for CX J single fares seem to be about £28 at the moment so that’s your cancellation cost. (I should probably have made clear that £28 taxes assumes a separate ticket onward from HKG; re-reading the query suggests maybe it is a through ticket from London-HKG-Philippines). Brilliant, thanks Stu, and I guessed that! I will probably be getting a through ticket, as long is one is available. I don’t mind paying the insane Heathrow departure taxes this time, I’ll get to try out all the terminal 3 lounges! I might give BA Galleries a miss though! Cathay F is amazing, we flew that from Tokyo Haneda to Hong Kong a few weeks ago. This was a long haul aircraft with an allegedly “reduced” regional service as only 4 hour flight but was still truly excellent – miles ahead of BA First in every way. Im sure the proper long haul would be absolutely superb and there’s every chance it would ruin you for ever more. The CX lounges at HKG are great too but they are still just airport lounges – I wouldn’t aim to spend more than 3-4 hours there I don’t think. I’ve been told on this site’s comments that Avios redemptions on partner airlines cannot be cancelled within 24 hours. Iberia Plus redemptions on anyone except BA and Iberia cannot be cancelled. No problem cancelling redemptions made via ba.com or iberia.com as long as you pay the £35 fee. Do I need to pay the £35 if it’s less than 24 hours after making the booking? OT: The US Travel Association’s annual sale of various travel deals is on, a day at a time – hotel and car rental points, theme park days etc. I was interested in today’s offer of multiples of Hilton points at 0.5 US cents. I had bought items in previous years. At first only AmEx payments were allowed. There was a workaround mentioned here to allow ‘aliens’ to buy. Now MC and Visa payments are allowed. However, address checking has been tightened up. Only US and Canadian states/provinces appear in the dropdown box, and there is a critical change: ZIP/post codes must match the cardholder’s address. I tried UK MC, Visa and AmEx cards and all were rejected. There still three or so weeks to go. Does anybody know how to adjust details to benefit from the offers? BTW today’s Hilton offer is sold out. The IHG offer from 11 April is still available, though much less interesting IMO. How on earth have RR got into this position? At worst it could bankrupt them but Certainly is going to cripple new engine sales.